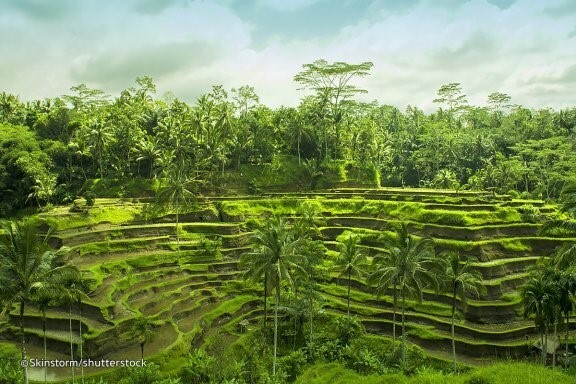 On par with the famous Jatiluwih rice terraces in the neighbouring regency of Tabanan, the rice terraces of Busungbiu offer picture postcard views. The farming village of Busungbiu is a half-hour drive south over central Bali’s hilly terrain from Lovina Beach. The rice fields follow the contours of the green hills, with a river running through it. The rural neighbourhood also offers a great glimpse into agricultural Bali.